How Do Personal Injury Attorneys Investigate a Car Accident Case? The only reasonable approach for lawyers to take in a car crash case is first to conduct an investigation of their own. Car accident investigation and reconstruction is necessary because police reports may be inaccurate, and administrative errors could lead to incorrect conclusions about the car accident. Consequently, our firm never takes anything at face value, and we investigate on our own everything that raises questions in a car accident. 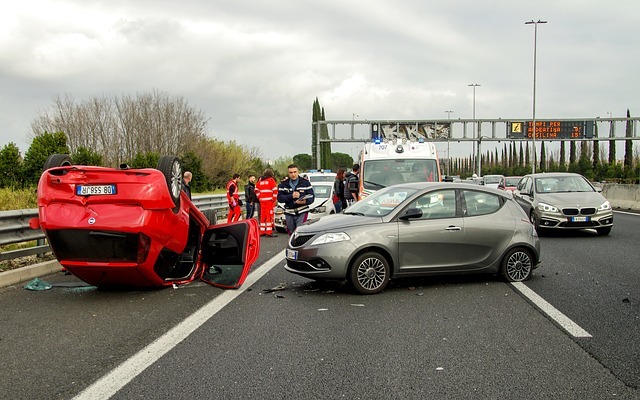 The most holistic approach a car accident lawyer can take regarding this type of incidents is to gather information about all the different parts of the case. Once the inventory is taken, the narrative will start to emerge. What type of pavement was used in the road construction? What was the condition of the road surface marking? Different types of road pavements have different grip properties which can determine how well your car stops and turns, especially in razor thin accident conditions where every square inch of pavement is precious. How is the road configured? If the road is configured in a hairpin turn or an S-curve, the level of driving skill needed increases, demanding a greater level of proper road conditions for safety. Was it light out or dark? What was the weather like? These details play a large part in who is or isn’t liable for an accident. For example, maybe at the scene of your accident, there was a street lamp out. Roads that are safe when lit can become dangerous with the lights switched off. The effects of light conditions also seem to be dependent upon weather conditions. Was there road debris in your way? Many hazards can end up causing an accident. For example, sand, car fluids (oil, radiator fluid), and even car parts. What are the traffic signs in and around the accident scene? Did the driver that hit you failed to notice or to obey a traffic sign? Checking the traffic signs in the crash area helps us get the picture of what may have influenced the actions or lack thereof, of each driver. Were both vehicles traveling in the same direction? Was it a two-way street? Was the road merging onto the highway? Do accidents tend to happen more often at the location of the crash? Are there close-by residences, businesses, or public resources that may have video recorded the accident? Investigating the vehicles. We’ll find out what type of cars took part in the crash. We’ll look into how they appear to be working and if there are any known factory defects present or open recalls for any of them. We’ll check the engine, ABS, the condition of the tires of each vehicle. We’ll look over the issue of prior damage in every vehicle. Our team will establish what the extent of the damage or the location of the damage on the vehicles indicates about the accident. Drivers, passengers, and eyewitness accounts. Inspection of the crash site includes finding out the names of all the drivers, their driving history, and any medical conditions that any of the people are being treated for by a doctor. Also, we’ll find out who were the passengers, who was sitting where and in what vehicle. Other important aspects are examining who has talked to the insurance carriers or police, and what did they say and if there were any eyewitnesses to the accident. These are all details we must check into thoroughly and questions we must answer because they play a significant role in our accident investigation. Call us for help immediately after the car accident because the sooner you call the greater chance your case has of winning because we’ll be able to find the necessary evidence to prove it. Sean M. Cleary is a personal injury lawyer, founder and president of the Miami, Florida-based the Law Offices of Sean M. Cleary. Sean specializes in practice areas arising out of the negligent or intentional acts of another, such as car accidents, wrongful death, defective products, and medical malpractice. Types Of Car Accident Compensation What Medical Conditions Can Prevent You From Getting A Commercial Driver’s License? The Benefits Of Using CPC Trained Vehicle Recovery Company 6 Tips Every Professional Driver Needs To Stay Safe On The Road What Makes Women Safer Car Drivers Than Men?